For Davidson the “economic lottery system” model is the New Hollywood. The reality is a little more complex. Classical Hollywood’s studio production system flourished from the 1930s until the ‘go go’ Sixties when the modern conglomerates collapsed. For a brief period from 1968-73, independent producers flourished before the studios fought back with the blockbuster film, new marketing, distribution, and control of ancillary revenue streams. A similar pattern occurred in the 1995-2000 dotcom period (PDF) in Los Angeles, New York, Austin, and London. Ben Eltham and I found in a 2010 academic paper that Australia’s film industry fluctuated depending on a mixture of Australian Government intervention, available labour, and international tax arbitrage. Eltham and I both read Nikki Finke’s influential blog Deadline Hollywood. History also differs on the New Hollywood exemplars that Davidson selects. “Barry Diller and David Geffen each started his career in the William Morris mailroom,” Davidson observes. Tom King’s biography The Operator: David Geffen Builds, Buys, and Sells the New Hollywood (New York: Random House, 2000) details what actually happened over this six month period in late 1964-early 1965 before Geffen became secretary to television agent Ben Griefer (pp. 46-52). Geffen lied to WM’s Howard Portnoy that he was Phil Spector’s cousin. Geffen lied about having a college education and persuaded his brother Mitchell to write a letter and cover this up. 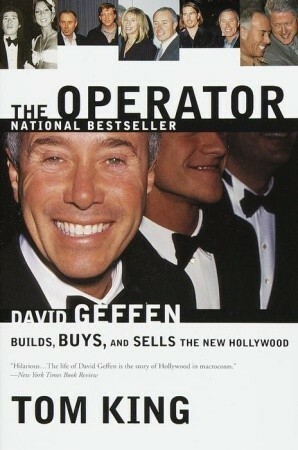 When they met, Diller “thought Geffen was a rather odd duck for using his vacation time to work in the company’s other office” (p. 50). Geffen networked with agent Herb Gart, “stalked” New York office head Nat Lefkowitz, and got his break from Scott Shukat. Geffen relied on chutzpah, hard work, networking, and having a career goal: “signing actors.” No wonder that Geffen hated King’s biography. These qualities are essential to Davidson’s “occupational centrifuge.” When academics ask me about their Dean’s budget and resource allocative controls, and why universities are now like Davidson’s “economic lottery system”, I suggest they invest time in watching the film Moneyball (a film in part about tournament theory), and understanding the performance and value creation goals of private equity firms (the mental model of consultants who possibly advise the Dean). I haven’t finished the academic journal articles on those ideas yet . . .